Now’s the time to stock up on these cute costumes for Halloween or dress-up. 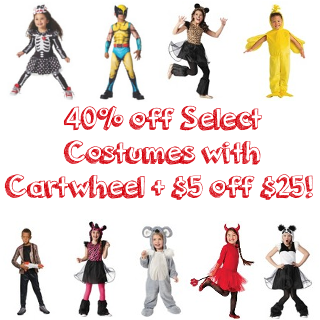 Target just released a handful of 40% off Cartwheel offers on select costumes. PLUS, you can use that in-ad coupon for $5 off $25 or $10 off $40 Halloween! These offers all end Saturday.